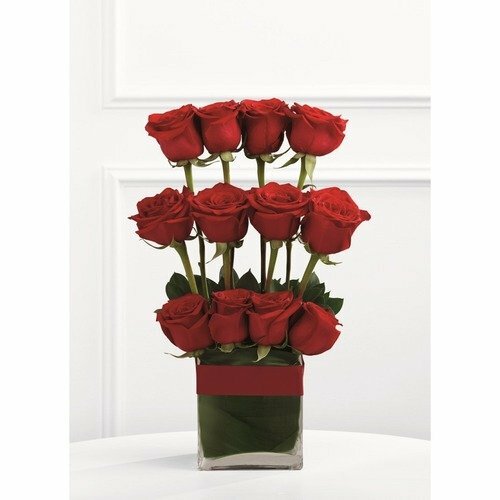 The Towering Beauty Arrangement is a charming way to express your love and unending affection for the deceased or for those suffering from a loss. A symbol of perfect beauty to convey your sentiments of warmth and comfort. * After exhaustive efforts to send flowers to my granddaughter for her first birthday in Canada from the USA, I found your web site. I tried 1800flowers, Teleflora, and FTD with either no luck in available arrangements to be delivered or exorbitant 'service fees' I was almost resigned to give up. I tried 'just one more' Thank goodness I did! Scarlett received her Bear Hug arrangement a few minutes ago. Her Mom (my daughter) says they are 'beautiful, smell fantastic and the bear is adorable.